Sorry for the lengthy hiatus on Fantasy Fantasies. We'll be returning to a more regular schedule shortly! I've been playing fantasy baseball for close to ten years. I wouldn't consider myself a true veteran like the OG, Jonathan Lau, but I've played long enough to know that you have to keep your emotions and favoritism in check on draft day. However, just like Superman has his kryptonite, there are certain players that I cannot help but draft. I call them my Fantasy Crushes -- I just LOVE owning them on my fake baseball teams. I can't really explain it, and I'm not asking you to understand, but sometimes you just have to follow your heart. I've only listed players you can still draft today. 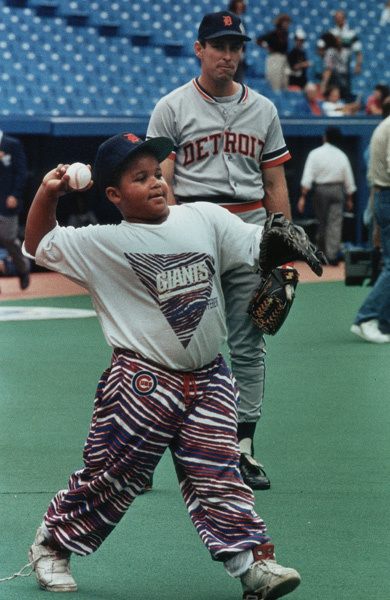 Prince Fielder - I have to have Prince. The way he runs mesmerizes me. I enjoy seeing the fat kid do well, and I'm extremely excited about him playing with Miggy this year. Jacoby Ellsbury - I reached for Ellsbury his rookie season, and he was great. I kept him the next two years, and he was awful and awfuler. Of course I didn't have him last year, and he put up MVP numbers. I want to hate him, but I just can't. Nick Markakis - I always thought he was on the cusp of being a 30/30 player when he was a 15/15 player. It never panned out that way for Nickycakes, and it has burned me on a few of my fantasy teams! Grady Sizemore - I have a strange love affair with the Cleveland Indians. Grady is currently on the DL, but he could be back as early as June! Don't all go running to the waiver wire at the same time. Travis Hafner - Hafner has not been good since what, 2007? I still look for him every season, and I have high hopes that he will make a comeback this year. More than likely, I will be wrong, and he'll be hurt. Yovani Gallardo - I think I just like the Brewers for some reason. Gallardo has ALWAYS burned me when I've owned him, but I am always back for more. I can't quit you, Yovani. Francisco Liriano - I owned Liriano when he first came to the majors back in 2006. It was love at first strikeout. He's dealt with injuries recently but is pretty undervalued this year, so he might actually be a decent investment. Forgot how good he once was. Jonathan Sanchez - I was always in love with his K-rate, and I even traded Caleb for him last year (straight up for Ike Davis -- that deal did not work out for either of us). I'm hoping he does well in Kansas City this year, but I don't think his game will translate to the AL. Tim Hudson - Ever since I was little, I've been tormented by Maddux, Glavine, and Smoltz, so I just tend to think all Braves pitchers are Cy Young incarnate. I also love Hanson, Beachy, Minor, Kimbrel, and Venters; maybe since they get to face the Mets, Marlins, and Nationals so many times each year, they have great stats. Erik Bedard - I used to love him when he was on the Orioles back in the day. Then he went to the Mariners, got hurt, was in Boston, and is now with the Pirates. Could he be good this year? Hope can hope! 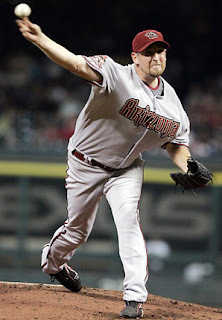 Brandon Webb - Yes, the 2006 Cy Young winner is still draftable and is currently on the DL for the Texas Rangers! I hope he comes back. Kyle Seager - 3B/SS - SEA - Honestly, I have no idea what this guys looks like. But he's putting up decent stats and will get plenty of burn on a bad Mariners team. Jordan Schafer - OF - HOU - It's an Astro sighting! This kid was a highly touted prospect back in the day with the Braves. If he can show some good on base percentage (a big IF), he's got the wheels to be fantasy relevant. Juan Nicasio - SP - COL - He was the victim of a horrible neck injury last season, but he's shown a good K/9 ratio as well as fantastic control this spring. He could be in store for a decent season with high K's. Vinnie Pestano - RP - CLE - Gonna be honest -- I don't trust Chris Perez at all. Pestano is a definite grab if you are chasing saves. Andrew Cashner - RP - SD - You know that current Padres closer Huston Street will make at least one DL appearance. Cashner is my pick to get the call not if, but when that happens. I had completely forgotten about Brandon Webb. And don't look now, but the Astros have a winning record for the first time in years. Had to get that out there before it's too late. In that case I guess I should announce that the Mets have a winning record as well and tied for first place in their division. Update: the Astros no longer have a winning record. Drew Stubbs is my fantasy kryptonite...batting 4-31 so far this year! !